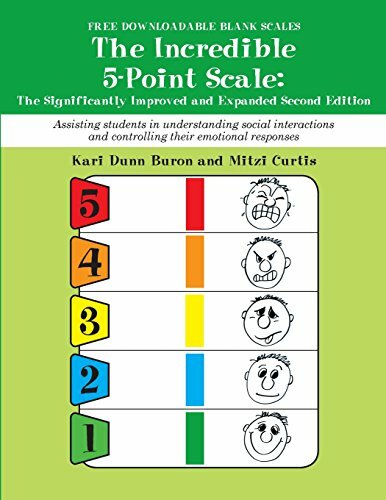 This much-awaited, second edition of the wildly popular Incredible 5-Point Scale is, as the title suggests, “significantly improved and expanded.” Using the same practical and user-friendly format as the first edition, Buron and Curtis let readers benefit from work done with the scales over the past 10 years, to result in refinements to the original scales, now considered “classics” in homes and classrooms across the country and abroad, as well as lots of new scales specifically designed for two groups of individuals: young children and those with more classic presentations of autism, including expanded use of the Anxiety Curve. Another welcome addition is a list of goals and objectives related to incorporating scales in students’ IEPs. Also, a free online downloadable content, which includes blank scales, small portable scales and worksheets for easy duplication is available. As in their other writings, the authors emphasize the importance of self-management and self-regulation, two evidence-based practices.